YOU CAN ADOPT DEBT FREE! GET THE FREE ADOPTION FUNDING KIT NOW! If you’re considering an expensive domestic, international, or embryo adoption, this site is for you. Don’t settle for navigating the adoption funding process on your own. Through personal experience, helping friends, and coaching other adoptive families, we’ve compiled exceptional tools and resources that teach families how to adopt without debt. We created Fund Your Adoption in 2014 to share what we learned with other families. Since then, we’ve been blessed with the opportunity to assist over 75,000 visitors. Hope you join us! We’re Lori and Jeremy. 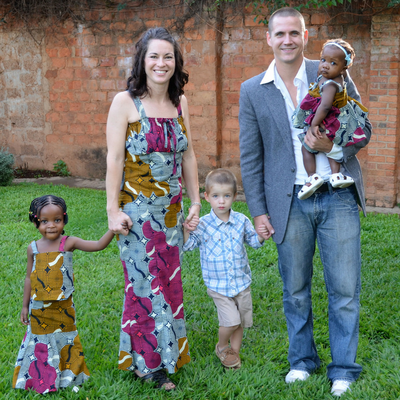 When we started the adoption process back in 2012, we had no idea where to begin. When it came to funding our adoption, we were even more clueless. We jumped in head first and committed to figure it out. After countless hours of research, we developed a funding plan, established a system for managing adoption grants, and created financial worksheets to stay organized. Within 12 months, we raised more than $47,000 to get completely funded and adopt debt free. Our mission is to help families overcome all the financial barriers of adoption. And not only can you adopt, you can adopt without debt! Our most popular resource with the step-by-step adoption funding checklist, a list of 80 adoption grants, and financial worksheets to help you get organized. CLICK TO GET IT NOW!